Monte Carlo wants your event to kick start with some Live Entertainers. Get your guests beaming with excitement first up. We supply the best live entertainers in the South East. Whenever you need fortune tellers, acrobats or stilt walkers. A key point to remember is that live entertainers always put the finishing touch on your event. Significantly adding “life” to the event. Living, breathing actors and entertainers to wow and impress your guests. Live Bands and Musicians are the loud voice for the quiet heart. The true beauty of music is that it connects people. Life wouldn’t be anything without music, and neither would an event. Sing, dance, play to the music. March to the beat of your own drum. Watch Aerial Dancers explore space in three dimensions. Be mesmerized by their ability to incorporate vertical, as well as horizontal movement paths. Experience the artistry of dance, the discipline of yoga, and the excitement of flying, in one act! 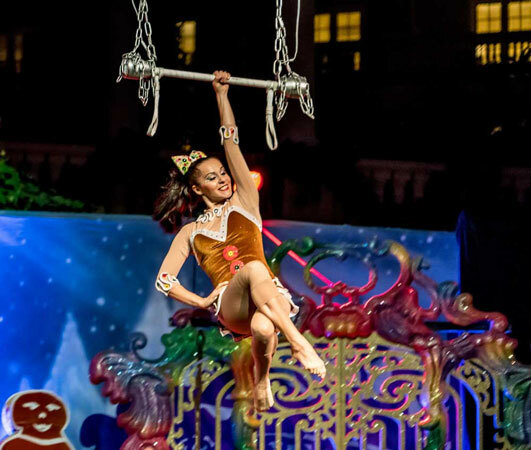 Be thrilled by modern dance blended with circus traditions using trapeze and silks. See shows that push both viewers and performers past their comfort zones. Put our Fortune Tellers to the test! Find out your future with a tarot reading! Your Fortune Teller will predict your life in an informal setting. 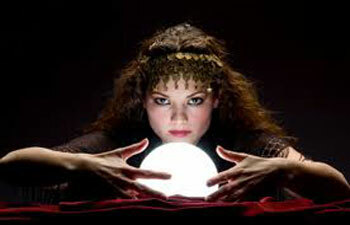 Our Fortune Teller tents offer complete privacy and some psychics even allow you to record the conversation. For future reference ! Cigarette Girls. Take yourself back to the Roaring 20’s and on into the post-prohibition days of the 1930s. Cigar Girls were a common sight, roaming nightclubs and bars. A must have at any casino or Roaring 20’s theme event. Our Cigar Girls are part of the ambience, mixing among your guests while adding a touch of class and full service. They carry a selection of cigars (upon request) novelty items, anything you would like to add to your party theme. Items are given out, they are not sold. Jugglers. Those who are skilled in keeping several objects in motion in the air at the same time by alternately tossing and catching them. Also those who perform tricks or acts of magic or deftness. Lastly, those who manipulate objects especially in order to achieve a desired end. 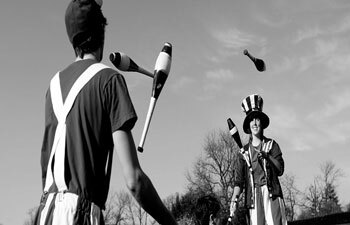 Jugglers are incredibly skilled and so much fun to watch! Especially if they are using difficult objects such as torches or flames. Total entertainment and WOW factor!! When one thinks of Showgirls, one thinks of elaborately decorated costumes. Color and beads and plumes. True beauty and creation. This is entertainment at its finest. Our Showgirls will surprise and delight your guests. A professional meet and greet. These ladies also hand out Casino Fun Money and will happily pose for photo ops with your guests! Some great pictures and memories to be had with Showgirls. 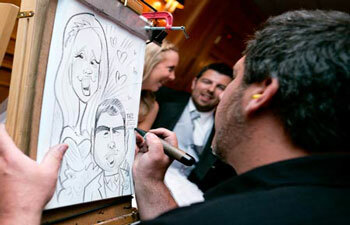 Laugh like crazy with caricature artists. Show your features in a simplified or exaggerated way. Through sketching, pencil strokes or other artistic drawing. While keeping enough information so you are still recognizable! These can be insulting or complimentary! Drawn solely for your entertainment. Who would have thought an insult could be so much fun? These are a fantastic keepsake and memory of your event. 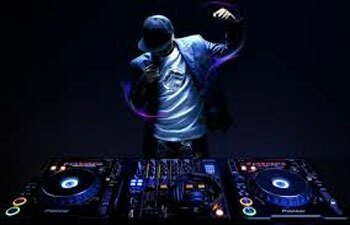 A Disc Jockey. The go to music guru in your circle of friends. Our Dj’s have outgoing, engaging personalities to match their music knowledge. While they primarily play lots of music, they also act as emcees. In addition, they give information about the songs and host your raffles. They especially love naming the prizewinners! So do yourself a favor and book a lively DJ for your next event. You’ll be the Dancing King. Or Queen. We love Stilt Walkers! 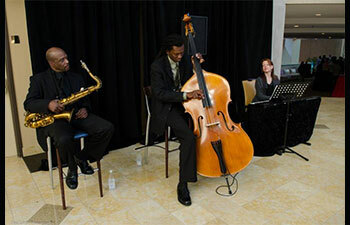 These talented guys and gals will make your event into a grand and festive occasion. They dance on high and pose for pictures. They will also fit in with any theme you desire. 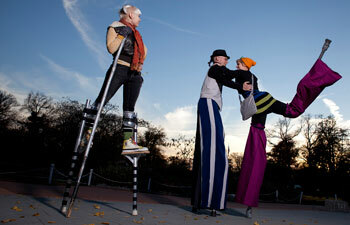 Choose from brightly colored and cheerful stilt walkers. Or Santa on stilts. These giant walkers will catch everyone’s eye. Towering above the partygoers, laughing , smiling and havinga whole lot of stilty fun! 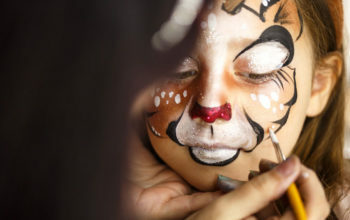 Book one of our expert Face Painters for your next event. Make your birthday event extra special. The kids will love you for it! Wearable art with either small designs or full faces. The little ones will have as much fun having their faces painted as they will when they see the final result. Halloween, birthday parties and more! Belly dancers have a long history in the Middle East. 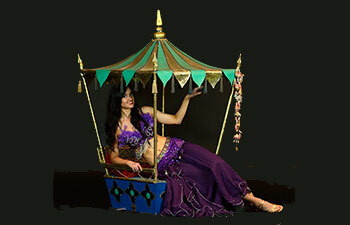 Our world class belly dancers have been wiggling and shaking for many years and most are professional dancers by trade. The art of belly dancing captivates and dazzles and each move is worth every penny! Whether you’re planning a birthday party, commemoration or a themed event, a professional belly dancer is just the flair you need to spice it up! 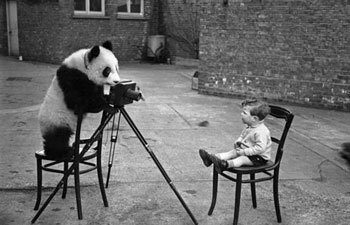 Our photographers are there to capture your memories. Beautiful keepsakes to remember in years to come. Our photographers express the feeling of your event through their photographs. When someone looks at your photos they will see the event exactly the way you saw it. Photographs convey your event in an artistic, visual and creative way. Capture memories. Capture moments.Tell stories. And above all, communicate joy. Our experienced private cigar rollers will dazzle your guests with their expert cigar rolling and showmanship. Our rollers will deliver the premium upscale cigar experience. 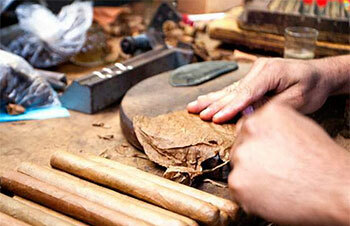 Quality, hand made Cuban cigars. Private label. When only the best will do. Click here for some fantastic theme party ideas! Click here for more fun ways to save your memories! looking for props to rent? Check out one of the largest prop catalogs in the southeast! Since 1977 Monte Carlo has been leading the competition with innovative ideas in entertaining companies across America. You have found the company that can do it all! With over 30 years experience in the industry you can trust that every detail of your event will be handled professionally. From ideation to creation, we are committed to excellence.